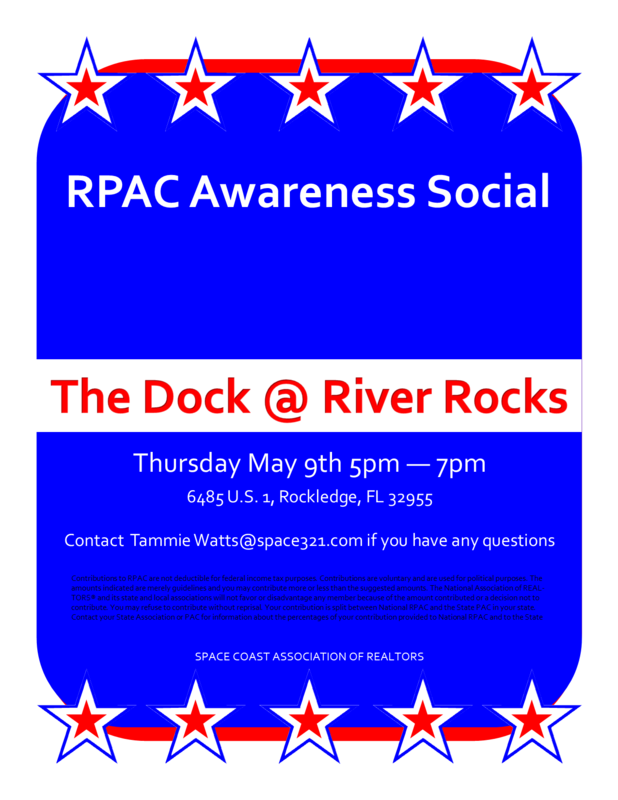 RPAC Awareness Social - Space Coast Association of REALTORS® Member Site. You’re invited to an RPAC Awareness Social on May 9th from 5 pm to 7 pm at River Rocks. Join for to network, meet friends or partake in happy hour. Need to deliver your RPAC Auction donation? Stop in to drop off your donation, stay for the social!